The NAACP has a venerable history: founded 102 years ago by a multiracial group that included legendary figures like W.E.B. Du Bois and Ida B. Wells, the organization has led the charge against voter discrimination, segregation and lynching, and for civil rights and justice in areas like education, government and the economy. Today, according to the national office, the organization has about half a million members and more than 2,200 branches across the U.S. and in Japan and Germany. They include a Springfield branch that was founded in 1918. But over the years, the branch’s activity level has waxed and waned, with periods of high involvement in city affairs, and periods when it’s existed more or less on paper only. But now the chapter is gearing up for a resurgence, following the election of a new president last month. The Rev. Talbert Swan II, a long-time city activist, was chosen to lead the group at the June 28 election, when he handily defeated rival Charles Stokes by a three-to-one margin. Swan and his fellow officers (including vice presidents Candice Lopes, Ida Flynn and Justine Williams) will be inaugurated on Sept. 18 at the Spring of Hope Church, where Swan is pastor. But he’s already beginning the work of getting the branch re-engaged in the life of the city, to “revitalize it and make it viable and relevant,” as he recently told the Advocate. Swan first ran for the NAACP presidency 15 years ago. At the time, the minister was engaged in a number of high-profile battles with City Hall and the Springfield Police Department about issues of deep importance to the city’s African-American community, including police misconduct and inequities within city government. Swan’s outspokenness and insistence on accountability from city leaders made him a force to be reckoned with—and also apparently made him, in the eyes of some of the more faint-heartened members of the chapter, too controversial a figure to lead the group. In the end, Swan lost the election to Darnell Williams. Swan’s list of priority issues for the NAACP to take on begins with the city schools. “If the numbers tell the story, our public school system is failing,” he said bluntly. While the statewide high school graduation rate has risen in recent years (figures from 2010 show 82.1 percent of Massachusetts’ students graduated within four years), Springfield’s rate has declined. Those same 2010 figures show only 53 percent of the city’s high schoolers graduated within four years, down from 54.5 percent in 2009. Springfield has the second-lowest graduation rate in the commonwealth, just below Holyoke—although that city has seen its graduation rates rise in recent years. Those abysmal statistics are particularly relevant to the city’s African-American and Latino students, who together account for 79 percent of the system’s total population of just over 25,000. According to state Department of Education figures from the 2009-2010 school year, the dropout rate for the city’s Hispanic students was 12.4 percent. The rate for multi-racial, non-Hispanic students was 9.3 percent; for black students, 8.5 percent; for white students, 8.4 percent. The Springfield school system’s truancy, absentee and suspension rates also exceed the statewide rate. Ten public schools in the city (out of 35 total across the state) are classified by the DOE as “Level 4” schools, a designation meaning they are “underperforming” based on MCAS scores. Swan’s son will start this fall in the talented and gifted program at one of those schools, Chestnut Middle School; it’s a sign of the school’s struggles, he noted, that even with the scores of those gifted students in the average, Chestnut still qualifies as underperforming. “Our education system is failing miserably, so that’s going to be a key focus of the branch: How do we address the problems in public education, and how do we hold the administration, from the School Committee to the principals to the superintendent, accountable for how they educate our children?” he said. Also on Swan’s list: addressing the race-based disparities in the public heath of the city. People of color, he noted, have higher infant mortality rates than others, and higher rates of such conditions as hypertension, diabetes, asthma and cancer. In addition, he added, there’s the problem of environmental racism, the extra public health burdens borne by communities of color, from the location of toxic industries to the lack of access to fresh fruits and vegetables because of limited access to grocery stores in their neighborhoods. The morning he spoke to the Advocate, Swan said, he had just come from a meeting with Commissioner William Fitchet of the Springfield Police Department, where they discussed the recent wave of violent crime in the city and the SPD’s response. “I look at all of that through two lenses,” Swan said. “One, I understand the need for aggressive policing when it comes down to taking the violent element off the street. There are certain folks who may need ministry, but they need a jail ministry. There are certain people that need to be taken off the streets. What the NAACP cannot support, Swan added, is institutional protection of rogue cops. “The unfortunate reality,” he said, “is that no matter how diligent police brass intend to be in proper policing in the community, there’s always going to be an element within the department that’s going to police the way they want to police. That’s the issue I challenge the commissioner to deal with. … He has to be vigilant in weeding out those officers”—both the “knuckleheads” who abuse their power and the colleagues who look away when they see it happening. “I’m more than willing to explain to the community that there are processes that have to take place” when dealing with an officer accused of abuse, Swan said—but the department needs to be serious about dealing with them. Ideally, in Swan’s view, that process would include a community police review board with real powers. Prior to 2005, the city had a mayoral-appointed Police Commission with disciplinary powers. The commission was dissolved under the Ryan administration; since then, the hole has been filled by various civilian review boards, which, despite occasional tweakings, have never had the powers held by the old commission. Rather, the new boards have served in an “advisory” role to Fitchet, who, under his contract, is the sole disciplinary authority in the SPD. “I’ve made no bones about the fact that I do not support the current structure of the complaint review board,” Swan said. The board, he maintains, should have statutory authority to discipline officers, and should be independent from the City Hall administration. As with the old commission, the mayor appoints all members of the current review board; while Swan doesn’t oppose the mayor’s having a few appointments, he believes there should be a community process for electing the others, perhaps through neighborhood councils. But none of those kinds of changes can take place without community involvement—something, Swan said, he’s not seeing enough of. “While I’ve been critical of the mayor and his administration in terms of the group they put together … I’ve also been critical of the community, in terms of its lack of response,” he said. He pointed, for example, to the low turnout at a series of community forums held last year by Ward 4 Councilor Henry Twiggs, chair of a special Council committee on police oversight, to solicit public input about the review board. 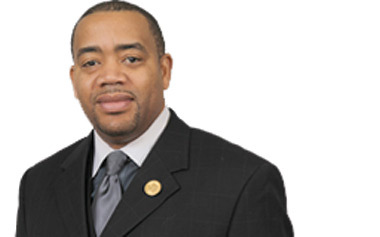 As the NAACP’s new leader, one of Swan’s tasks will be to inspire more of the kind of community involvement that was missing during the oversight board review process. Swan is confident that getting people to join the Springfield NAACP won’t be a problem; the branch, he said, has more than 200 lifetime members, and the organization can do a better job reminding those with annual memberships to renew each year.